Holistic Hypnotherapy, Energy Work, Integrative Counseling with Carrie Meyer :: FUSION Yoga Studio Sacramento, Inc.
HOLOFLECTIVE HEALING. 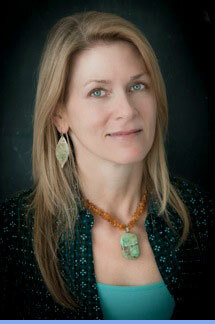 Healing encompasses a range of services offered by healing artist Carrie Meyer. While the modalities Carrie provides may sound familiar — Holistic Hypnotherapy, Energetic Healing, Integrative Counseling — the caliber of her offerings and her keen instincts in working with individuals have been widely recognized as unique. Whatever modality or combination of services she’s providing, she is very attentive to her clients. In fact, many clients have returned to work with Carrie over the years based on a very good sense of rapport, mutual respect, trust, healing, and palpable growth they experience through their sessions with her. Carrie translates Holoflective Healing as a healing process that is holographic and facilitated by a genuine healer. As members of the Omniverse, we may consider ourselves to be holographic. This is a kind of quantum physical recognition that what appears to be a reality composed of separate parts is actually a projection of an underlying whole. What this means in healing terms is that we cannot separate any aspect of experience such as a physical symptom or life challenge from the energetic-consciousness spectrum of an individual, much of which is ridden with electromagnetically charged and emotionally amplified thought forms that are often tuned out from direct awareness, that is, subconscious…. When you show up to work with Carrie, you and your subconscious will be warmly welcomed. Holistic hypnotherapy naturally and effectively addresses most any presented issue or goal and speaks to the whole spectrum of experience from the physical to the psycho-spiritual. Certified clinical hypnotherapist Carrie Meyer, MA, CCHT, perceptively supports you in transforming unwanted habits, limitations, fears, or unrealized goals into liberating self-awareness, healing, growth, confidence, and well-being. Where analytical efforts have been exhausted, hypnosis allows you to access the creative intelligence and solutions that your intellect alone does not. See Carrie’s website for more information and testimonials. Contact her for a free phone consultation or to schedule a session.